Kenya has one of the most active commercial PV system market in sub-Saharan Africa, with an installed PV capacity is in the range of 4 MW. An estimated 300,000 rural households in Kenya have solar home systems and annual PV sales in Kenya are between 10,000-20,000 systems. The demand for solar PV systems in Kenya is driven by rural class purchasing power. Solar electricity use is dominated by a rural middle class made up of small business owners, rural professionals such as school teachers, civil servants and pastors, as well as the better off among the small holder cash cropping farmers. Solar PV systems are widely used for household applications such as television, radio and cellular phone charging. Solar PV also plays a substantive role in supporting the use of electric light for key social activities such as evening time study by children. However its role in supporting income generation activities is yet to be fully embraced. The average solar PV system size for households in Kenya is 25-30Wp. The typical cost of installed systems would is about 12$/Wp installed. Owing to the small size and dramatic improvements in the efficiency of white light emitting diodes (LEDs), it has become possible to create compact, affordable, rugged, and cost-effective illumination systems. These can be powered with small solar panels or other off-grid charging strategies, and they can operate using low-cost, rechargeable commodity batteries. These small and portable lighting systems can also be designed for centralized charging, where users might rent/charge the lights at existing fee-based charging. Many LED lighting products are coming to market in the $5 to $50 price range (depending on features and pricing structure) which is signiﬁcantly less than the $100 to $1,000 cost of solar-based ﬂuorescent lighting systems. This reduction in price makes off grid modern lighting systems affordable to a larger majority of the rural population that currently use kerosene for lighting. It is estimated that over 70,000 of these low cost LED based lighting products were purchased in 2010/2011. The government has been very supportive of solar PV technology. As per the East African Community Customs Management Act 2004, specialized solar powered equipment and accessories (including deep cycle sealed batteries which exclusively use and/or store solar power) are exempted from import duty. In addition, the government initiated a program for electrification of institutions far from grid using solar PV systems; as at 2011 solar PV systems had been installed in 945 institutions including primary and secondary schools, dispensaries, health and administrative centers. 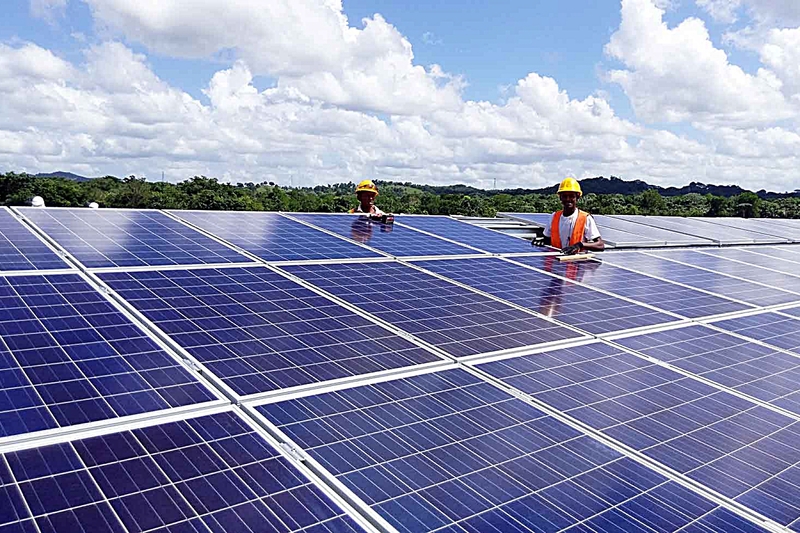 More recently, the government has embarked on a program to provide solar/diesel and solar/wind hybrid generation capacity to off-grid stations.